Paul and Linda McCartney Wings Tour 1975. 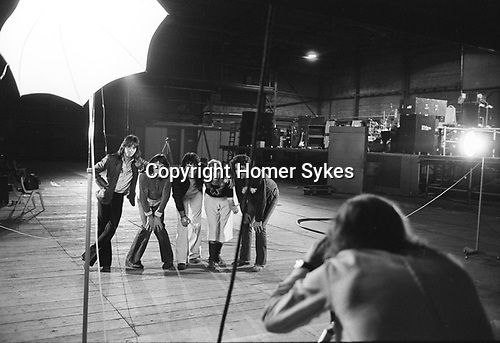 Wings official photograph taken at the Elstree rehearsal studio London. Photographer shooting Wings Group portrait is Robert Ellis. The photographs from this set were taken in 1975. I was on tour with them for a children’s "Fact Book”. This book was called, The Facts about a Pop Group Featuring Wings. Introduced by Paul McCartney, published by G.Whizzard. They had recently recorded albums, Wildlife, Red Rose Speedway, Band on the Run and Venus and Mars. I believe it was the English leg of Wings Over the World tour. But as I recall they were promoting, Band on the Run and Venus and Mars in particular.